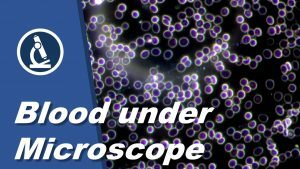 Topic: Looking at blood with bright field, dark field and phase contrast. 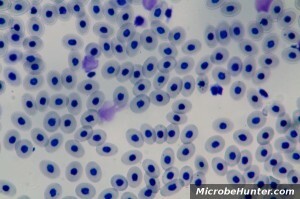 You can see the red blood cells (erythrocytes) quite well. I bumped my head on the corner of the car door unloading some shopping. 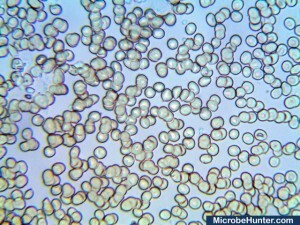 Red blood cells do not appear red, when viewed under the microscope. 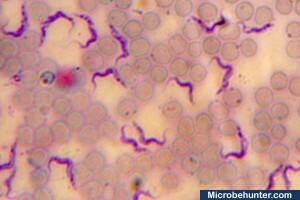 This parasite is spread over the tsetse fly and causes the sleeping sickness.